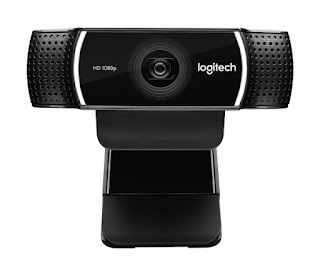 Logitech launches HD 1080p live streaming webcam, the C922 Pro Stream Webcam. Today Logitech launched its newest webcam, the C922 Pro Stream Webcam. Designed to meet the needs of serious streamers, the C922 Pro Stream Webcam lets you stream and record vibrant, true-to-life HD 1080p video at 30 frames per second (fps) or 720p at 60fps, features dynamic background replacement software, powered by Personify, and a 3-month XSplit recording and streaming premium license. The Logitech C922 Pro Stream Webcam is available today at Logitech.com for a suggested retail price of $99.99.